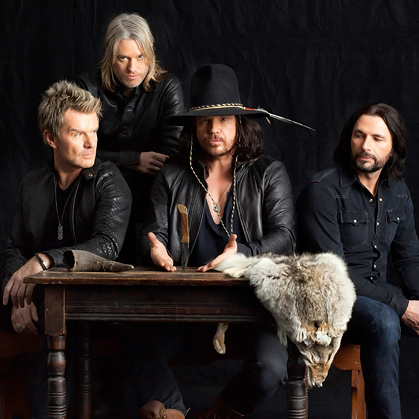 Cult frontman Ian Astbury interview, man. “I don’t like nostalgia,” states Ian Astbury, lead singer of seminal rock band The Cult. It’s a somewhat paradoxical position to hold, when we’re on the phone to talk about The Cult’s impending Australian tour in which they will play 1987’s Electric album in its entirety. Electric is famous not only for the singles Love Removal Machine and Wildflower, but also for being the album which, under the wing of visionary producer Rick Rubin, transformed The Cult from pasty British, pirate-shirted goth types to internationally loved, hard rock hot property. Astbury’s Torontonian epiphany took The Cult to the chaotic freak scene that was Manhattan in the mid-‘80s, to meet Rubin, who as a first priority sat the band down for a serious session of listening to a ‘60s psych rock/proto metal band. via The Art Of Making Love ♫ Interviews at theMusic.com.au.